The Coca-Cola Company is the world’s largest beverage company, offering over 500 brands to people in more than 200 countries. Of Coca-Cola's 21 billion-dollar brands, 19 are available in lower- or no-sugar options to help people moderate their consumption of added sugar. Coca-Cola is serious about making positive contributions to the world. That starts with reducing sugar in Coca-Cola's drinks and continuing to introduce new ones with added benefits. It also means continuously working to reduce Coca-Cola's environmental impact, creating rewarding careers for Coca-Cola associates and bringing economic opportunity wherever Coca-Cola operates. Together with Coca-Cola's bottling partners, the company employs more than 700,000 people around the world. As a technology company, Mastercard connects individuals, businesses and organizations around the world, creating greater opportunity for all. Mastercard operates the world’s fastest payment processing network, connecting consumers, financial institutions, merchants, governments and businesses in more than 210 countries and territories. Headquartered in Tokyo, Japan, Sumitomo Chemical is one of Japan’s leading chemical companies, offering a diverse range of products globally in the fields of petrochemicals, energy and functional materials, IT-related chemicals and materials, health and crop science products, and pharmaceuticals. Sumitomo Chemical contributes to solving problems facing the global community in areas such as resources, energy, food, and the environment to help meet pressing global challenges -- such as improving people’s health and living standards and increasing food security -- by making the best use of the power of chemistry. Through its endeavors, the company hopes to play a significant role in building a sustainable society, while continuing to grow to realize the goal of becoming a truly global chemical company in the 21st century. BNY Mellon is a global investments company dedicated to helping its clients manage and service their financial assets throughout the investment lifecycle. Whether providing financial services for institutions, corporations, or individual investors, BNY Mellon delivers informed investment management and investment services in 35 countries and more than 100 markets. For more than a century, Merck (known as MSD outside of the United States and Canada) has been inventing for life, bringing forward medicines and vaccines for many of the world's most challenging diseases. We operate in more than 140 countries to deliver innovative health solutions, and we demonstrate our commitment to increasing access to health care through far-reaching policies, programs and partnerships. Today, Merck continues to be at the forefront of research to advance the prevention and treatment of diseases that threaten people and communities around the world - including cancer, cardio-metabolic diseases, emerging animal diseases, Alzheimer's disease and infectious diseases including HIV and Ebola. Pfizer Inc. is a research-based, global bio-pharmaceutical company that applies science and its global resources to bring therapies to people that extend and improve their lives through the discovery, development and manufacture of healthcare products. Pfizer’s global portfolio includes medicines and vaccines, as well as many of the world’s best-known consumer healthcare products. 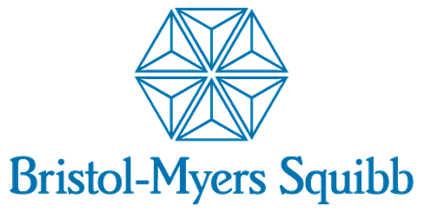 Bristol-Myers Squibb is a differentiated company, led by a unique BioPharma strategy that leverages the reach and resources of a major pharma company paired with the entrepreneurial spirit and agility of a biotech firm. Bristol-Myers Squibb works every day to deliver innovative medicines for patients with serious and life-threatening diseases. Mars is a family-owned business with more than a century of history making diverse products and offering services for people and the pets people love. With almost $35 billion in sales, the company is a global business that produces some of the world’s best-loved brands: M&M’s®, SNICKERS®, TWIX®, MILKY WAY®, DOVE®, PEDIGREE®, ROYAL CANIN®, WHISKAS®, EXTRA®, ORBIT®, 5™, SKITTLES®, UNCLE BEN’S®, MARS DRINKS and COCOAVIA®. Mars also provides veterinary health services that include BANFIELD® Pet Hospitals, Blue Pearl®, VCA® and Pet Partners™. Headquartered in McLean, VA, Mars operates in more than 80 countries with more than 100,000 Associates. Nestlé is the world’s largest food and beverage company. With more than 2000 brands ranging from global icons to local favorites, Nestlé is present in 191 countries around the world. Nestlé's purpose is enhancing quality of life and contributing to a healthier future. We want to help shape a better and healthier world. We also want to inspire people to live healthier lives. To contribute to society while ensuring the long-term success of our company, we have defined three overarching ambitions for 2030 which guide our work and support the achievement of the UN Sustainable Development Goals, help 50 million children live healthier lives, help to improve 30 million livelihoods in communities directly connected to our business activities and strive for zero environmental impact in our operations. Unilever is one of the world’s leading suppliers of Home Care, Personal Care, Food and Refreshment products with operations in over 190 countries and reaching over 2.5 billion consumers a day. We believe that, to achieve long-term sustainable growth, business must help address some of the world’s greatest challenges. We are driving this through the Unilever Sustainable Living Plan, our blueprint for achieving our vision to grow whilst reducing our environmental footprint and increasing our positive social impact – in line with the UN Sustainable Development Goals (SDGs). We are committed to driving this vision by leveraging our Brands with Purpose and across our value chain to create long-term growth that is both inclusive and sustainable.